Who is entitled to a copy of a will? While the testator (that’s the person who made the will) is still alive, the will is a private document. You can only see a copy of the will with their permission. Before probate is granted, only the executors of the will are entitled to read it. However, they may well choose to share a copy with the beneficiaries – particularly residuary beneficiaries – as a matter of courtesy. If a legal service or bank is storing the will, they can’t show it to you without an executor’s permission. But they can tell you who the executors are and share any funeral wishes expressed in the will. After probate has been granted, anyone can get a copy of the will by applying to the official Probate Registry and paying a small fee. You can find out more about how to go about this below. What is a grant of probate? A grant of probate is a legal document that the executors of a will can use as proof that they officially have the right to manage the estate of the person who has died. Executors need to apply to the Probate Registry for a grant. When the executors of an estate apply for a grant of probate, they’ll need to send the original will, along with any codicils, to the Probate Registry as part of their application. Online: Click here to search the Probate Registry’s records and make a request. 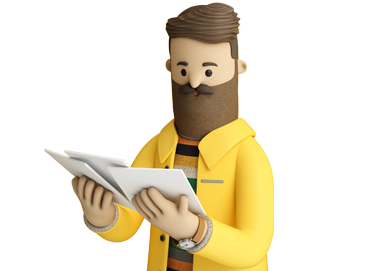 Getting a copy of a will this way is a little faster – once you’ve paid, the documents should be sent to you in about 10 working days. By post: Click here to download form PA15. Fill it out and post it to the address suggested along with the £10 fee. You should get the documents within four weeks. In person: If you’re in a hurry but you can’t use the Probate Registry’s online search, you can apply in person at your local District Probate Registry. You can find your local registry here. The documents will be sent in less than 10 working days. What if probate hasn’t been granted yet? If the grant of probate hasn’t been issued yet, you can set up something called a standing search instead. You pay the Probate Registry £10, and they will send you the will and the probate application form as soon the grant is approved. If six months go by without news, you’ll need to renew the standing search and pay the fee again. To set up a standing search, all you need to do is tick the appropriate box when you send off form PA15. Not all estates need a grant of probate to be settled! In fact, only 51% of executors end up applying for one. So, there’s no guarantee that you’ll be able to get a copy of the will using the method above. You may have to try the options below instead. Before the grant of probate is issued, it’s up to the executors of the estate to decide who gets a copy of the will. So, the first thing to do is ask them! If you’re a residuary beneficiary (that is, someone who will inherit what’s left of the estate once all the specific gifts have been given) the executors will usually follow through on a written request to see the will. You can also ask a solicitor to draft the letter for you if you’d like some professional heft behind the request. You can do this yourself, but you have better chance of success if a solicitor helps you. As part of the process, you’d usually also make a claim for the court costs to be covered by the executors if they’re found to have acted unreasonably. In the meantime, you could also enter a caveat on the estate to keep the executors from getting a grant of probate. This would place pressure on them to agree to share the will with you. Both of these options – the court proceedings and the caveat – can go badly wrong for you, and should not be taken lightly at all. Consider them a last resort! Who keeps the original copy of a will? If the executors of the estate have successfully applied for a grant of probate, the Probate Registry will be in possession of the original will. If the grant isn’t needed, then the executors will hold onto the original will themselves. Either way, the executors should have a copy of the will or two around. Are beneficiaries entitled to a copy of the will? No. Only the executors are entitled to a copy of the will. However, if you’re a residuary beneficiary, you are entitled to see the estate accounts after the estate has been distributed. The accounts will usually include a summary of the terms of the will along with a record of how everything has been dealt with. Should you keep extra copies of your will after you make it? It’s not a bad idea to have a copy around just in case. For example, you could give the original will to a will storage company to look after and keep a copy at home for reference. It’s a good idea to write ‘copy’ on the copy of the will to make sure the two aren’t confused. Do you have any questions about getting a copy of a will, or thoughts you’d like to share? Do you need help settling an estate? Should a beneficiary get a copy of the will, in your opinion? Tell us what you think in the message box below.